"I’m off on holidays tomorrow and happy I’m going to feel nice in my bikini. Learnt loads about the right food and framework and mistakes in the past couple of months Liam so thanks for all your help and encouragement"
Current weight is 57kg. 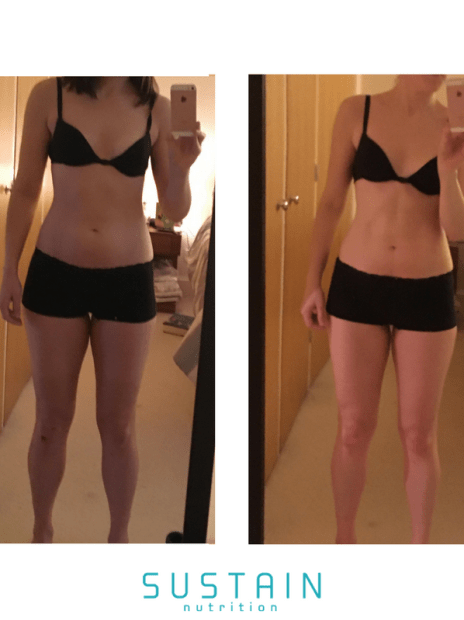 So down a little over 3kg in total but here’s the main things I’ve learnt so far. 2. It’s all about fuelling your performance – my swim, bike, run times have all been improving. Especially the running with eating well. 4. Planning is key – the more prep I do the better the results!